Multiple Document Discounts: Prices of £80.00, £70.00, £60.00 and £40.00 are available when you order 1, 2, 5 and 10 items or more of this service. 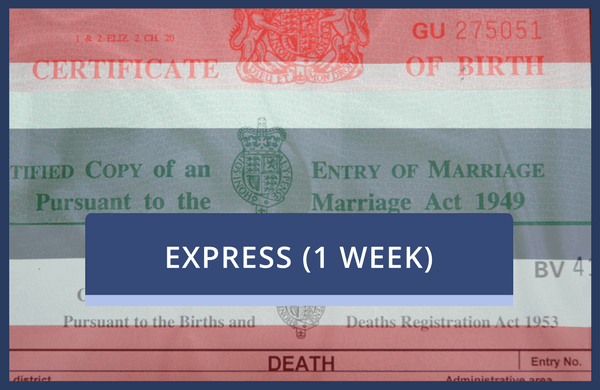 Choose this service to have a document legalised for Thailand which does NOT require certification beforehand by a solicitor or notary public. Please only select this service if your document has been seen by the FCO. This is our Express 1 Week service. If your document has not been validated by the Foreign & Commonwealth Office (FCO), please choose our Full Legalisation Service.